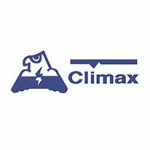 Climax Technology Co., Ltd. is a security, senior care, and smart home complete-solutions provider that has successfully integrated wireless security, senior care, home automation, energy management, emergency service, and visual monitoring into innovative all-in-one solutions. Climax’s extensive experience with security enables the company to integrate security features, such as world-leading 2-km RF range, VOIP, and reliable communications, into our security, senior care, and smart home solutions. Our extensive range of ZigBee and Z-Wave wireless home automation and energy management systems are designed for users to live smarter and greener in the age of increasing economic and energy challenges. Our company has relentlessly pursued perfection in technology, production, value and service with the objective of providing the best protection and care for every home and individual. Climax’s telecare systems integrate real-time GPS tracking, geo-fencing, visual monitoring, intrusion detection, emergency intercom service, lifestyle monitoring and an extensive array of wireless DECT accessories to enable seniors to live independently at home or travel with utmost protection and freedom. Climax world-leading 2-km RF range, VOIP, touchscreen convenience, and reliable communications, have all been integrated into our smart home security solutions. Smart home security series is a complete solution integrating security monitoring, senior care, home automation, energy management, visual monitoring and mobile control all-in-one. ZigBee and Z-Wave Home Automation and Energy Management Accessories Climax’s comprehensive range of ZigBee and Z-Wave sensors and accessories including security, environmental, lighting, energy management, home automation and emergency monitoring devices enhances safety, comfort and convenience.